Kendall Hale is a massage therapist, yoga/meditation instructor and Wellness Retreat owner on a 20 acre family homestead in the Blue Ridge mountains near Asheville, NC. She embraces peace, beauty and justice as a grassroots activist, violinist, vocalist and gardener. 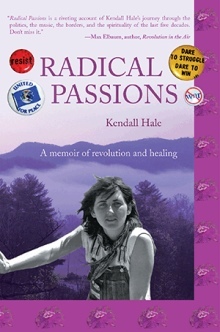 You can also find Kendall in Feminists Who Changed America 1963-1975 by Barbara Love (2006) and in Written Out of History: memoirs of ordinary activists. (2011).